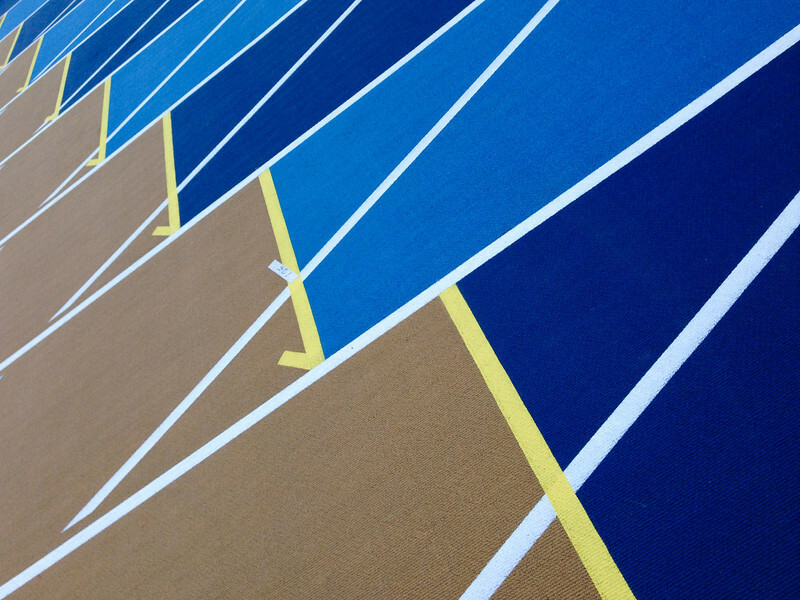 A portion of the Drake Stadium track at UCLA. It's only recently been painted blue - it used to be the standard maroon color. If I were smart, I would have waited until a runner came by to take this photo to give it some context. I apologize for the lack of a runner.